BIG UPDATE BELOW which means I got this partially working!! I tested to add a Redis NOSQL (3rd party) using simple Jedis Jar. This was done fairly easily with another Mac OS based proprietary platform like Dukascopy JForex. I could see the Redis update when running the strategy or study within MotiveWave. This builds fine. but there does not seem debugging log capabilities for a strategy but there is for studies. Also, when making changes in the Java in Eclipse, the MotiveWave platform does not seem to pick up the latest changes in a dynamically changed class. The only way for this to be picked up is by reseting the platform. I think there needs to a be lot more samples from MotiveWave instead of just 3 simple studies and 1 strategy. I could only find one other 3rd party providing further examples. Unfortunately, I am not in the business of spinning my wheels to figure this out as compared to other brokers/platform who provide flawless coding experiences. I think I need to see a demo or better examples. Until then, I am may just use MotiveWave for charting or connecting with IQFeed only. I can do that with the entry level MotionWave edition. This platform is very exciting indeed but I need to get to see improvements in the above area before I get serious with it from a coding point for view. // Check to see if a cross occurred and raise signal. This entry was posted in Quant Development and tagged 3rd party, coding, Java, MotiveWave, No, problems on November 23, 2018 by caustic. This versatility means that the Central Intelligence Agency has used it for hacking, Google for crawling webpages,…. Some of the most popular packages harness “machine learning”, by crunching large quantities of data to pick out patterns that would otherwise be imperceptible. Do I really need to continue stress this point about taking the above offer. Either that comes down to the last 48 hours to decide. This entry was posted in Quant Development and tagged coding, language, popular, Python on July 30, 2018 by caustic. I will be combining all the items I have talked about over the last few weeks. This entry was posted in Forex and tagged coding, Dukascopy, Entire, ForEx, Java, JForex, strategy, trading on November 14, 2017 by caustic. Hope all is well. I am at a crossroads right now when it comes to choosing a platform, and coding the proper language for some strategies. Im not interested in wasting too much time, for now. I do have interest down in the road when my time frees up to go through libraries of videos. I have accounts at Interacrive Brokers, and was planning on using Multicharts to execute trades to IB but have come across the open source you were posting about with tradelink. Does this seem like the route to be taking? Coding language for tradelink? I read about guys bashing people for not wanting to pay the $1500/lifetime but for what Ive paid for a lot of programming to get done Id be penny pinching these days just like anyone else and asking questions. Hindsight is 20/20 and I dont want to waste much more time and or money. Im looking to just begin trading and trying to open up avenues for business grow when that happens. Thanks for the time. 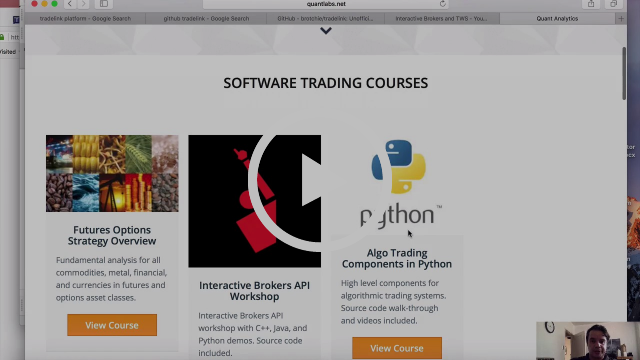 This entry was posted in Quant Development and tagged 3rd party, coding, Do It Yourself, platforms, Python, trading on July 26, 2017 by caustic. 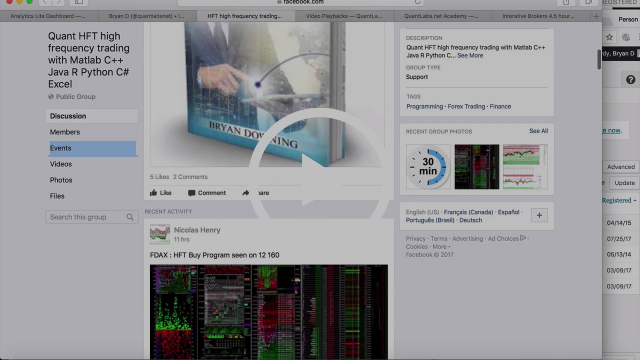 This entry was posted in Quant Development and tagged 3rd party, coding, Do It Yourself, Multicharts, platforms, Python, trading on July 25, 2017 by caustic. Coding boot camps are everywhere these days, promising to arm you with the most highly sought skill in the modern economy: computer programming. While many programs charge thousands of dollars for just a few months of instruction, one school, started in Paris by the French billionaire Xavier Niel, offers a three-year curriculum for free. This week Bloomberg Technology’s Sarah McBride and Marie Mawad report on Ecole 42’s newly-opened Silicon Valley branch, which is hoping to repeat the Paris school’s success in training underprivileged youth. But things haven’t quite turned out the way administrators were expecting. This entry was posted in Quant Development, Uncategorized and tagged Bootcamp, coding, job, software on December 7, 2016 by caustic. Java or C++: Which is better for speed coding? Sometimes I send out programming tips which will help automated traders maximize their potential. One of the big takeaways recently is the amount of data that is constantly being processed. For instance, my central bank analysis set of drivers total over 25 different data sources. This is just one type of analysis that I used to help gauge market direction in my upcoming automated trading system. In this video below, you will see a high-speed development coding test for both C++ and Java. As we move into lower latency requirements for accessing multiple data sets in parallel, you’ll quickly realize how advanced programming will be needed to maintain your trading edge. It will no longer be about understanding scripting/interpreted languages like Python or R anymore. Sholom B was kind enough to send over a book about programming tricks in C++ and Linux. I really hope this helps you out and getting a solid understanding of the importance of programming skills in the new era of modern trading over the next generation. This entry was posted in Quant Development and tagged C++, coding, Java, speed on September 9, 2016 by caustic.